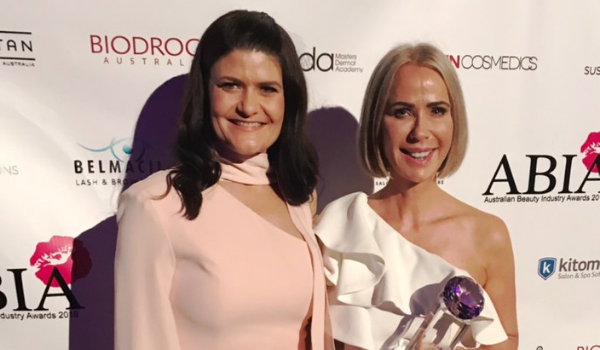 Kitomba is incredibly proud to have supported with the Australian Beauty Industry Awards this year and sponsor the Beauty Salon/Spa of the Year, 5 Treatment Rooms or More award for Victoria, Tasmania and South Australia. The 2018 winner is Kitomba customer HÜD Skin + Body. So we caught up with owner Gry Tømte to talk to her about her win and business. What does it mean to have won this award? I am so incredibly grateful for the recognition of our hard work over the last four years – and so so proud of my team for all the hard work they do every day. It is truly such an honour to be included in such amazing company of inspiring industry leaders whom I look up to and who have inspired me in my journey. How did you get into industry? I got into the industry whilst living in Canada. I was struggling with cystic acne and melasma, and was in a really miserable place in my life where I was really insecure about the way I looked. I started seeing a therapist in Toronto, and having no work permit and no purpose, she asked me “why don’t you study beauty? You’re obviously doing a lot of research into your own skin so you must be interested!” And so my journey began. I moved back to Australia a short time after my studies, and I started working in a nail salon. Whilst I was there my passion for skin just grew and grew as I was still battling acne. The salon I was at didn’t offer any advancements or training at all – let alone in the skin side of things. So I made the decision to open up a little skin studio from home and slowly focus on my own development. Over the next few years I focused on learning everything I could about skin, whilst working on my own. I ran my home business for seven years and after working for myself for so long I knew I was ready for the next step. So four years ago I opened HÜD. When your mission is to change lives there’s only so much you can do on your own! I saw a short fall in the industry where there was a big divide between very sterile, cold skin clinics on one side and beautiful spas on the other. I saw an opportunity to bridge the gap by creating a space where clients could receive highly effective, clinical treatments whilst being warm and comfortable in beautiful Scandinavian surroundings. This as well as being treated by staff who look at skin holistically. Our Clinicians strive to be the best and get the best training opportunities. 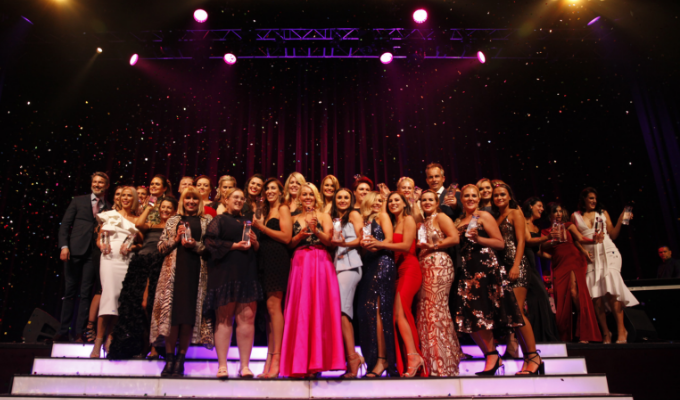 What makes your salon successful and award winning? It sounds really corny, but I think what makes HÜD such a success story is a clear vision and that we LOVE what we do. I have made some tough decisions over the years to cut some pretty profitable treatments in order to make room for what we love doing, which is changing skin. If you could give one piece of advice to other salon, spa and clinic owners what would it be? Have a strong vision. And really go for it. Don’t fall into the trap of settling for mediocrity and discounting every service you do just for some quick and easy cash flow. Unless you can sustain a HUGE amount of fresh clientele constantly this is very short lived. You’ve been using Kitomba since 2015, what made you choose Kitomba? When we opened we tried a few different systems and they all had some major flaws! Some were just clunky and slow, and others just didn’t have enough features or integrations. When we were introduced to Kitomba it was an easy decision. It’s easy to use, looks good, has great reporting and excellent tracking for the team and management. Which Kitomba feature could you not live without? The Scoreboard!! It changed my life! So easy for both me, my manager AND the team to track their performance every day.